Biotechnological production of valuables by microorganisms is commonly achieved by cultivating the cells as suspended solids in an appropriate liquid medium. However, the main portion of these organisms features a surface-attached growth in their native habitats. The utilization of such biofilms shows significant challenges, e.g. concerning control of pH, nutrient supply, and heat/mass transfer. 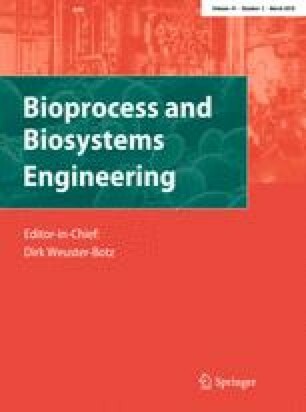 But the use of biofilms might also enable novel and innovative production processes addressing robustness and strength of the applied biocatalyst, for example if variable conditions might occur in the process or a feedstock (substrate) is changed in its composition. Besides the robustness of a biofilm, the high density of the immobilized biocatalyst facilitates a simple separation of the catalyst and the extracellular product, whereas intracellular target compounds occur in a concentrated form; thus, expenses for downstream processing can be drastically reduced. While phototrophic organisms feature a fabulous spectrum of metabolites ranging from biofuels to biologically active compounds, the low cell density of phototrophic suspension cultures is still limiting their application for production processes. The review is focusing on pro- and eukaryotic microalgae featuring the production of valuable compounds and highlights requirements for their cultivation as phototrophic biofilms, i.e. setup as well as operation of biofilm reactors, and modeling of phototrophic growth. Funding by the German Research Foundation (DFG: MU 2985/3-1, UL 170/16-1, and CRC 926 “Microscale Morphology of Component Surfaces”, subproject C03), the Max Buchner Research Foundation (project funding reference number: 3414), and the Carl-Zeiss-Foundation is gratefully acknowledged.